I decided to keep trying Sample Society, at least for another month, because I was so excited that Benefit’s Roller Lash Mascara was going to be included. 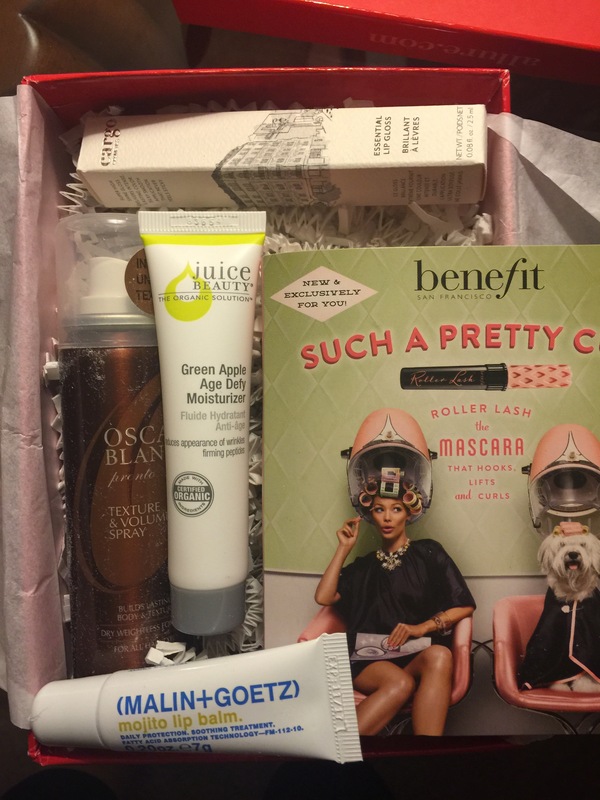 I’m familiar with all of the brands this month, so I’d say that from the start, this box is a win. I’ve been on the fence about Juice products. I’m so excited to try them, but usually I can’t get past the smell. I now have several tubes and jars from the line, so perhaps I’ll give it a shot, and work past the smell. Anyone out there a Juice Beauty fan? Let me know what products you like! I was SO excited to get this because of all the hype surrounding this product. I should admit I haven’t used it yet, since I have so many tubes that I’m trying to work through and finish up. Can’t wait to try it! I do like their dry shampoo, so I was thrilled to give this a try. 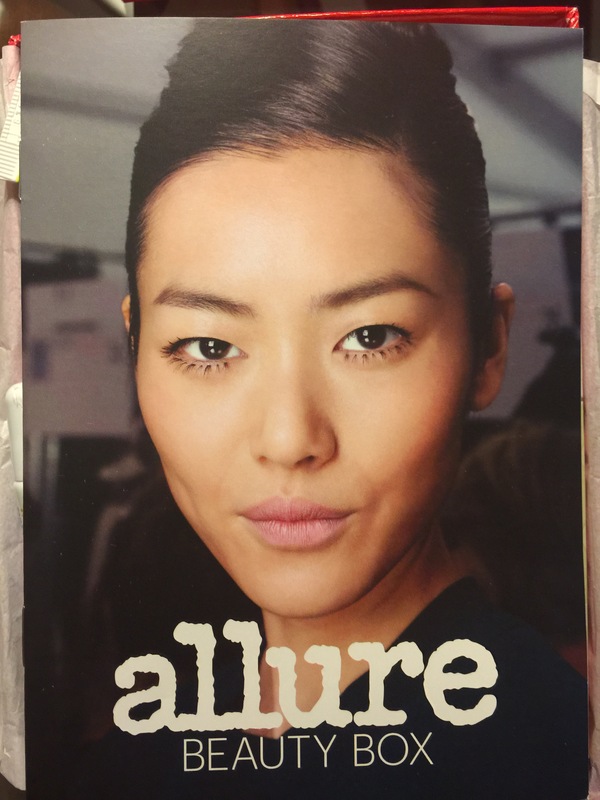 I’m interested to see how it compares to the Oribe version. I’m not a huge lip balm gal, but the write up in the pamphlet in the book makes me want to give this a shot. Especially if it isn’t greasy. I’m weird and LOVE sticky glosses, but I can’t stand greasy balms. Mine is in the color Madrid, which is a dark plum color. Since we’re going into spring I would have preferred a lighter pink or coral, but I do enjoy a vampy lip. Verdict: This box (as I mentioned above) is a win for me. Brands I have heard of, coupled with products I actually wanted to try. 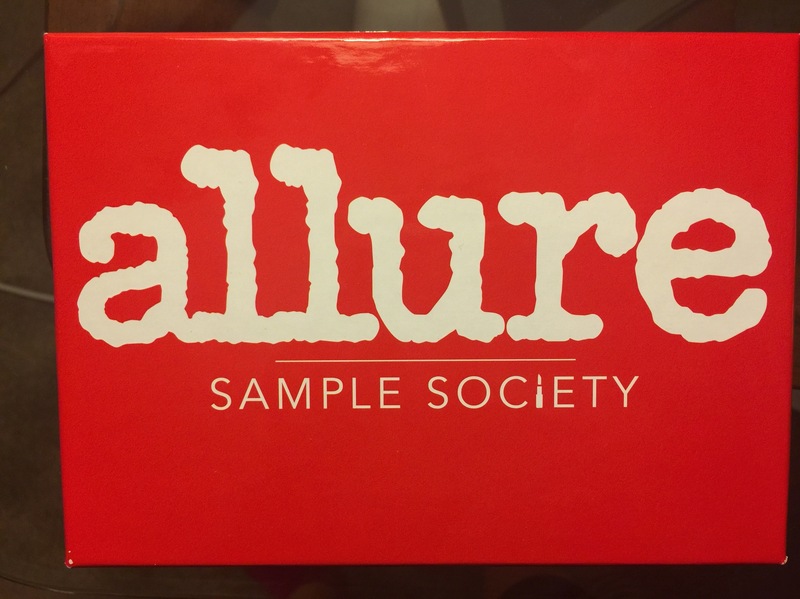 Way to go Sample Society.